The ‘Desi Arnaz Pioneer Award’ (‘Premio Pionero’) will honor the Spanish language media visionary at the 2nd annual induction gala of The Latin Songwriters Hall Of Fame. 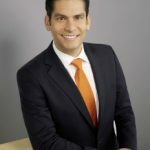 The award will be presented to Mr. Alarcon, Jr. in honor of his father by CNN en Español anchorman and producer Ismael Cala. FOR IMMEDIATE RELEASE: Miami, Fla. (September 30, 2014) – The 2014 Desi Arnaz Pioneer Award (Premio Pionero Desi Arnaz) will honor the late Latin media visionary Raúl Alarcón, Sr. (1926-2008), who founded The Spanish Broadcasting System (SBS). Alarcon started in Spanish-language radio broadcasting in the early 1950s when he launched his first radio station in Camagüey, Cuba. 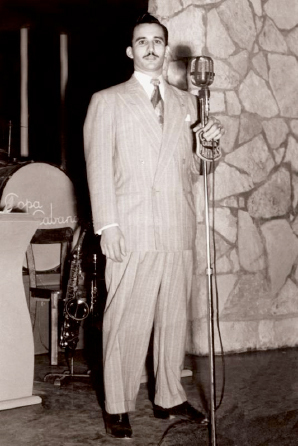 Raúl Alarcón Sr. had acquired 14 radio stations by the time he fled Cuba with his family to the United States in 1960. In the U.S. He subsequently purchased the first SBS radio station, WSKQ-AM (La Super 1380) in 1983 with his son, Raúl Alarcon, Jr. 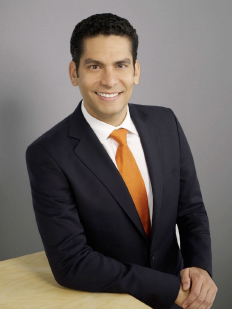 The award will be presented to Mr. Alarcon, Jr. in honor of his father by Cuban-born author, lecturer and CNN en Español anchorman/ producer Ismael Cala. Alejandro Sanz, Ednita Nazario, Miguel, Diego Torres, Jencarlos Canela, Jon Secada, David Bisbal, Natalia Jiménez, Gustavo Santaolalla, De La Torre and many other presenters, performers and honored guests will attend this year’s ceremony. The Latin Songwriters Hall Of Fame Induction Gala, LA MUSA AWARDS™, will be honoring these world-famous Latin music creators for their unforgettable songs in both Spanish and Portuguese and will feature exciting performances and moving tributes by some of the most talented artists in the music world. LA MUSA AWARDS™ hosted by Eglantina Zingg will be held on October 18, 2014 at the Ritz-Carlton South Beach in Miami Beach. Tickets for the event are available at http://www.latinsonghall.org the webpage for LSHOF.